Home Blog How Is French Customer Service Different? 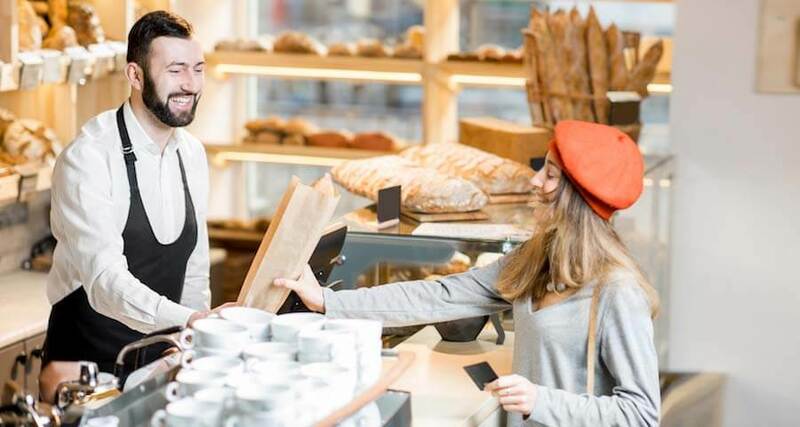 How Is French Customer Service Different? What Can You Expect from the Restaurant Staff? Before you begin working your way to foreign language fluency, it helps to understand the culture behind the language you’re learning. After all, language exists to help a group of people express their ideas and beliefs. France is an old country with a rich history and culture. As you begin your French language program, gaining a strong grasp on this history, the values, and the etiquette will help you rapidly achieve success. In particular, you should know what to expect from service staff so you can enjoy the most out of your dining or café experience. For the French, it’s perfectly acceptable to just hang out at an outdoor café. The only stipulation is that you must be a patron, meaning you do have to buy something, like a cup of coffee, juice, or tea. Once that request has been met, people are free to hang out as long as they like. French patrons will remain for a considerable time, reading or watching passersby. As a courtesy and as a reminder that you have met your obligation to buy something, the waiter will bring a complimentary glass of water. Some French cafés allow their patrons to pay their bill upon departure, while others insist that you pay in advance. Where the latter is required, the waiter may tear up your bill as another reminder that you have paid. Through the 16th and 19th centuries, French cities were designed to be close and rather claustrophobic. As a result, the city sidewalks are bustling with activity, as French couples, singles, and groups take an evening stroll. It’s almost an official parade, as locals dress themselves in their best outfits and walk down the main boulevards. Horror stories are abound about rude French waiters and miserable experiences being had by travelers unprepared for the French dining experience. A small amount of prior knowledge does wonders in preventing such unfortunate occurrences. Here are a few things you should know to make your dining experience a pleasant memory, instead of an unpleasant memory of the waiter treating you like a fool. Bread is an important part of every meal, yet it is important to know when and how it may be eaten. Oddly enough, while it is available throughout the meal, it should not be eaten with soup. Furthermore, it should NEVER be dunked in anything, unless it is at breakfast when it is acceptable to dunk a croissant in your café au lait. While almost everything else is eaten using a knife and fork, bread may be broken and eaten with your fingers. Etiquette also requires that you refrain from nibbling the bread until the meal actually starts. Also keep in mind that your hands and wrists, but not your elbows, should always be on the table. Watch the natives and do as they do. Notice the constant use of knife and fork, with the fork remaining in the left hand, and the knife never being put down. Try never to scrape your utensils against your plate, and do not put your napkin in your lap. It is meant to stay folded in half and tucked back under the edge of your plate after each use. You will have multiple glasses on the table, so keep in mind that the largest is for water. Always compliment the meal when the waiter takes your plate. Showing appreciation for the cuisine is the surest way to ingratiate yourself with the staff, and will result in better service. Tipping is quite different than in North America, and usually involves simply rounding up the bill by a euro or two per person, depending on the service. While waiters in North America rely on tips to supplement the low hourly pay they earn, French waiters are not in the same situation.